“These are inspired,” were the first words my husband Omar spoke after biting into one of these sandwiches. Having already polished one off hours before post photoshoot, I just gave an excited and knowing grin. A sweet and smoky barbecue sauce, slathered over thin slices of tofu which have been fried until chewy. Paired with a zingy pineapple relish, just a little bit spicy. Sandwiched between two slices of toasted sourdough bread, one slice generously topped with mashed avocado, and the other slathered with vegan mayonnaise. 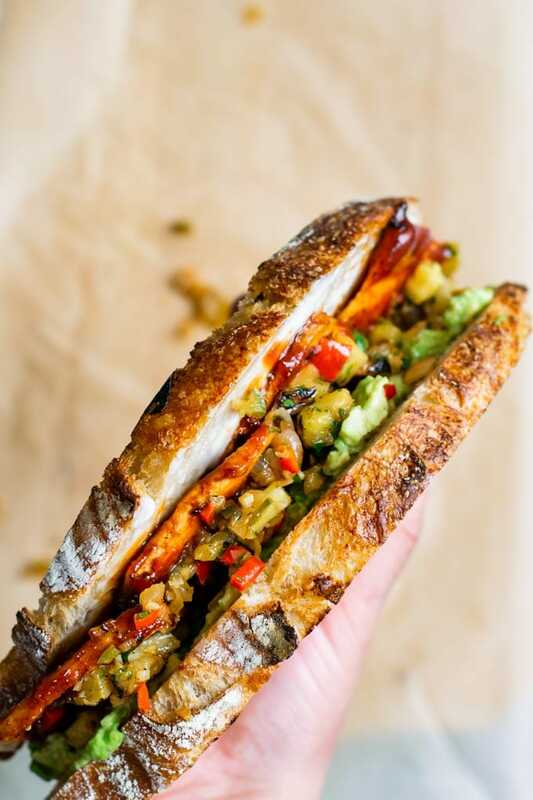 Hot sauce is optional (unless you ask Omar), but great anyone who likes their sandwiches to lean spicy. 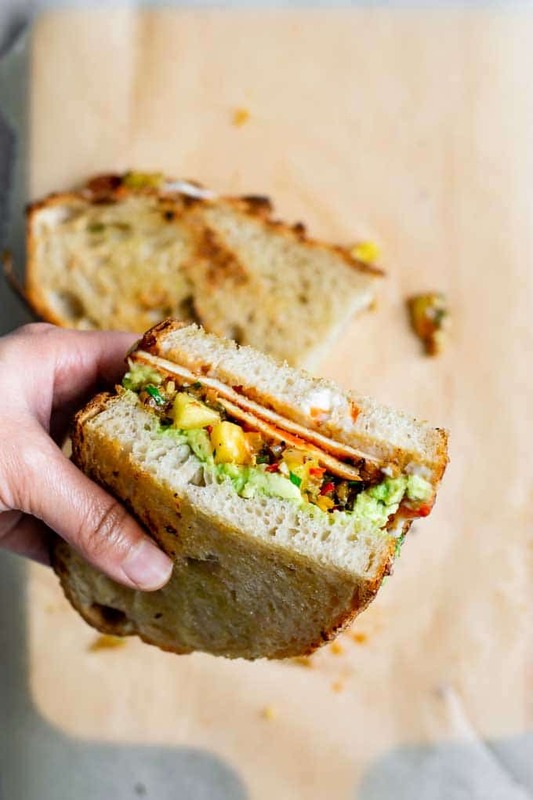 These easy sandwiches are packed with flavor and will be on repeat around here! I love a complex, long ingredient, slow cooked barbecue sauce as much as the next person (just me?). But sometimes you want a quick sauce for your hungry belly and luckily there’s a great shortcut for that long simmered flavor. And that ingredient is ketchup. 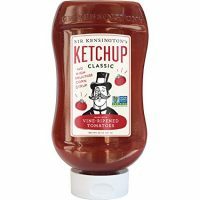 All ketchup is is tomato puree simmered with some spices and sugar until the thick condiment is formed. 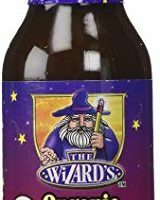 We can use its robust flavor to our advantage in homemade barbecue sauce! To the ketchup we add some brown sugar to up the sweet factor, apple cider vinegar for the necessary sour, vegan worcestershire sauce for its sweet-savory and tangy flavor, and a dash of hot sauce for a kick. We also add spices. Smoked paprika introduces the smokiness, garlic and onion powder, ground mustard, salt and pepper. Whisk those ingredients together then heat and bring to a low simmer for just a few minutes to meld the flavors. First, pick your tofu. Choose a super firm tofu if possible, otherwise grab a box of extra firm tofu and squeeze out excess water by wrapping the tofu in a lint free towel and placing a weight atop it. Thinly slice your tofu. Thin means they’ll fry up chewy for a perfect sandwich filling texture, and it also means you’ll get loads of barbecue flavor with each bite. Since we’ve sliced the tofu so thinly, you’ll need to cook it in batches, unless you’re able to break out a griddle or two large fry pans. Heat the skillet and add a thin layer of oil. Fry the tofu on each side until golden, and repeat until all the tofus are cooked. Then return them to the pan brushed with a glaze of barbecue sauce and cook them about 1 minute on each side. Again, work in batches as necessary. Grill or pan fry cut pineapple until it takes on a bit of color and light charring. Dice it up. Fry shallot or red onion, a jalapeño (or serrano or whatever spicy green pepper floats your boat), a little red bell pepper, garlic, and ginger until softened. Mix the aromatics and diced pineapple together along with lime zest and lime juice, salt and pepper, and cilantro. And that’s it. Set aside or stick in in the fridge until you’re ready to assemble your sandwiches! Grab a couple slices of bread or a sandwich bun. I used some freshly baked homemade sourdough. I like the bread to be lightly grilled, so brush one side with a bit of olive oil and toast that side on a hot skillet until it’s golden in places. Then spread a layer of vegan mayo over one slices (on the not toasted side) and some mashed avocado over the untoasted side of the second slice of bread. 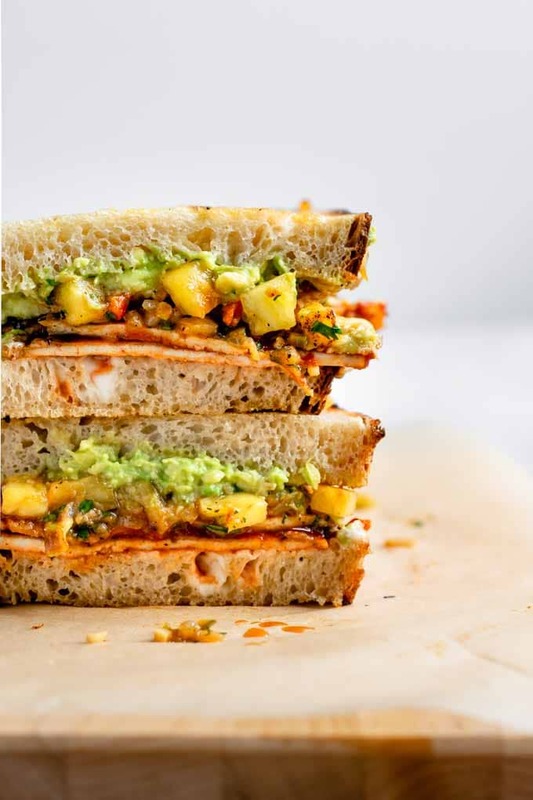 Layer up the barbecue tofu, brushing with more barbecue sauce as you assemble, followed by the pineapple relish. Save the extra sandwich components in the fridge for quick and easy meals! Depending on how large your bread is and how much you load up your sandwiches, you’ll get about 8 out of this recipe. 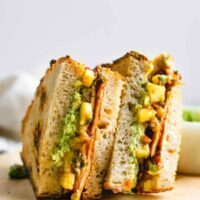 These are easy and delicious sandwiches and I do hope you make them and enjoy them as much as us! If you’re gluten free and making these, as you might imagine you’ll want to use gluten free bread or buns. But also check that your ketchup and worcestershire sauce is certified gluten free! 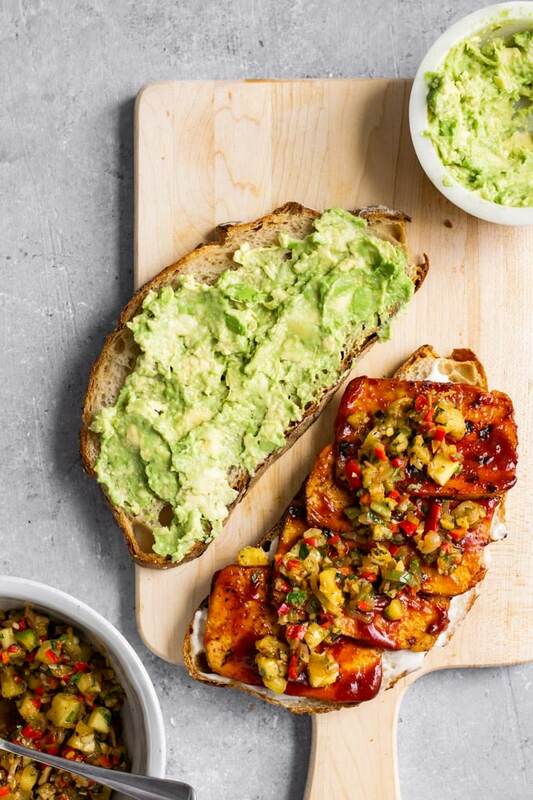 If you make these barbecue tofu sandwiches with pineapple relish, leave a comment below and rate the recipe on the recipe card. And please share your photos with me on Instagram, tag @thecuriouschickpea and #thecuriouschickpea. I love seeing your recreations! 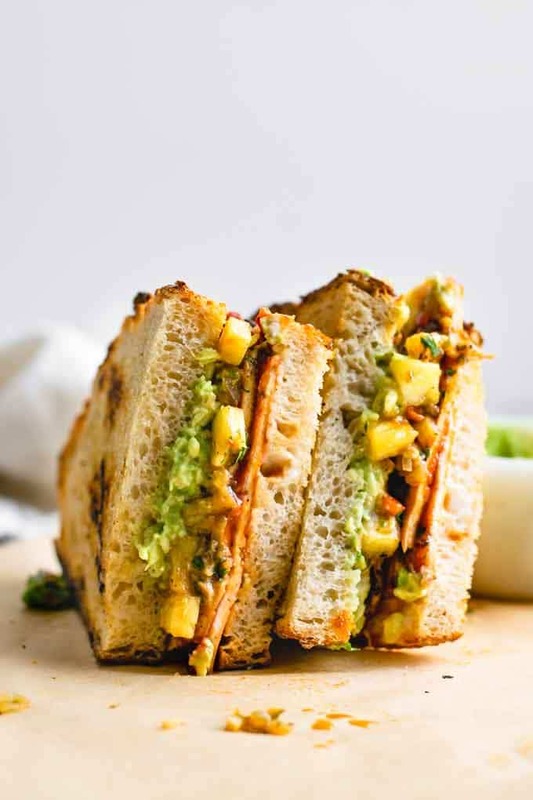 These crowd pleasing barbecue tofu sandwiches with pineapple relish and avocado make a delicious meal. They're perfect for summer picnics, BBQs, or cozy dinners. Heat 1 teaspoon oil in a large skillet over medium heat and fry the pineapple until it's lightly charred, about 5 minutes. Remove from the pan and cool slightly before dicing. Heat the second teaspoon of oil and add the shallot, bell pepper, hot pepper, garlic, and ginger. Sauté for 3-5 minutes, or until soft. Combine the diced pineapple, the cooked shallot mixture, the zest from one lime, lime juice, cilantro, and salt and pepper. Taste and adjust seasoning as desired. Set aside or put in fridge until ready to use. Whisk together all of the ingredients in a small saucepan. Bring to a simmer, partially cover, then lower the heat and let simmer for 5-10 minutes to let the flavors meld. 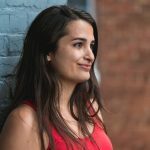 If using extra firm tofu, wrap the tofu in a lint free towel and place something heavy on top of the tofu to press out the excess water for about 20 minutes. Skip this step if using super firm tofu. Thinly slice the tofu. 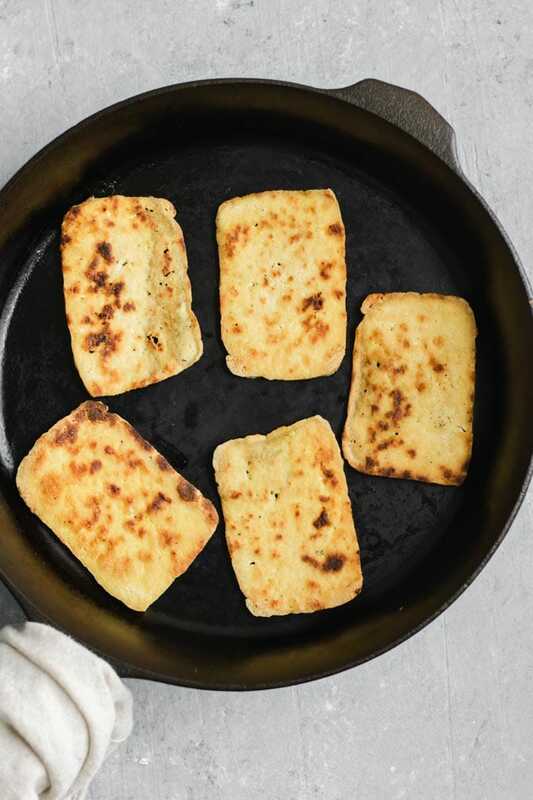 Heat a fry pan or griddle over medium heat and spray or drizzle a little oil into the pan and working in batches fry the tofu in a single layer for a couple of minutes on each side, or until golden. Repeat until all tofu has been fried adding a little bit of oil between each batch. Then, brush a layer of barbecue sauce over each side of the fried tofu slices and cook for 1 minute on each side, repeating until all tofu has been glazed and seared. Brush the outside of the slices of bread with a bit of olive oil, or the inside if using a sandwich roll. Place oiled side down on a hot skillet and let toast until golden in spots. 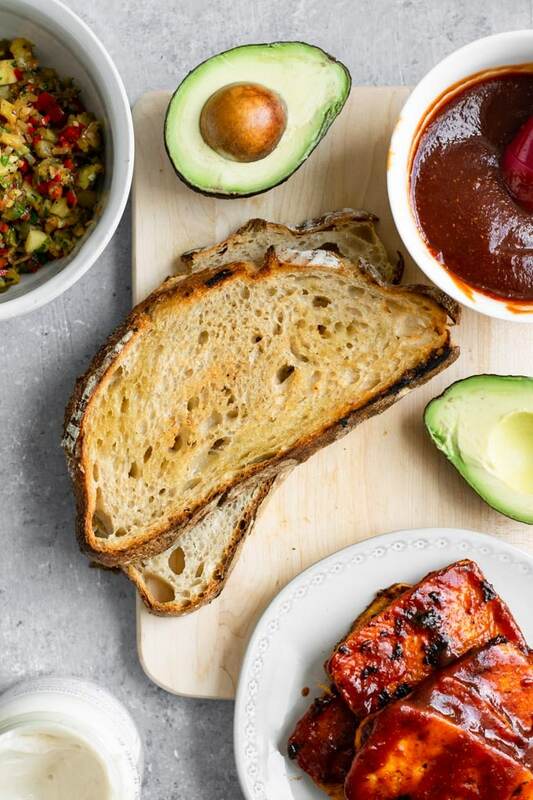 Spread vegan mayo on the inside of one piece of bread (or the bottom half of the bun), then layer barbecue glazed tofu, adding more barbecue sauce to with them. 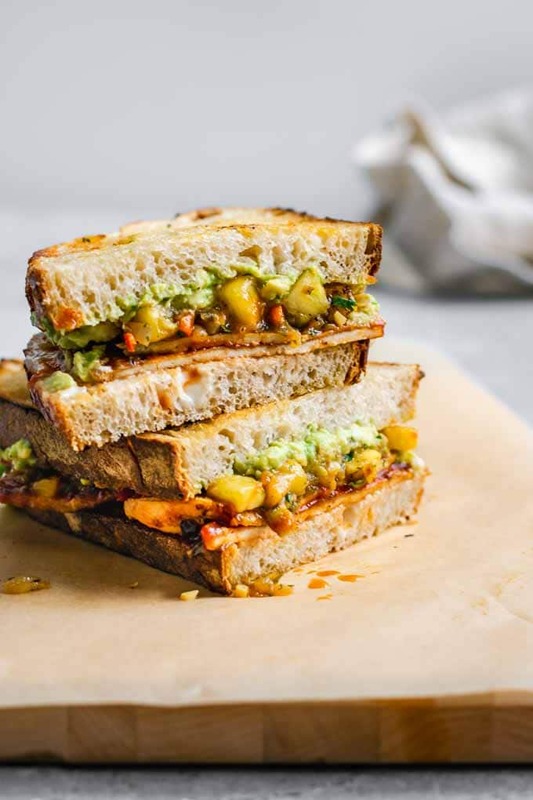 Top with pineapple relish, then spread mashed avocado on the other slice of bread (or top half of the bun) and close up the sandwich. Mini red bell peppers are perfect for the pineapple relish! I made these the other night for me and my kids and they were so insanely good! My husband was out of town and missed out and they were so delicious I think I’m going to make them again next week so he can try them. Great recipe!